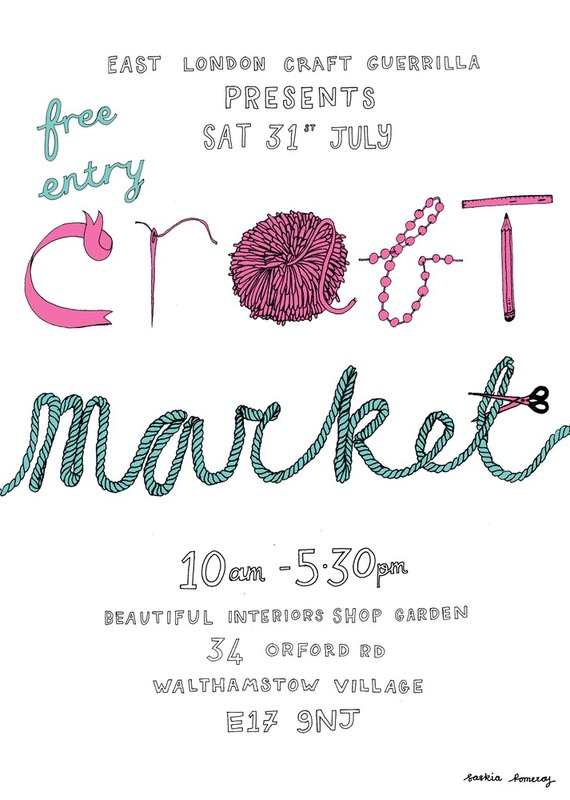 We will be hobbling along to take part in the East London Craft Guerrilla July Market in the lovely Walthamstow Village. We couldn’t miss this delightful market (one of our favourites, and not just because of the free cocktails either…) despite recovering from a knee op. I’m hoping for a helping hand from friends so I can be there, so do come along to see us and some other very fine sellers, and have an explore of the village while your at it…. This link will take you to a post a wrote last year with more info on the local area. But there have been some changes, the deli is now part of a very (and I mean very) smart Spa shop, Eat17 has now become a very good, very busy restaurant (you’ll probably need to book for the evening) with a very nice bar attached, their Walthamstow Mess is heaven!